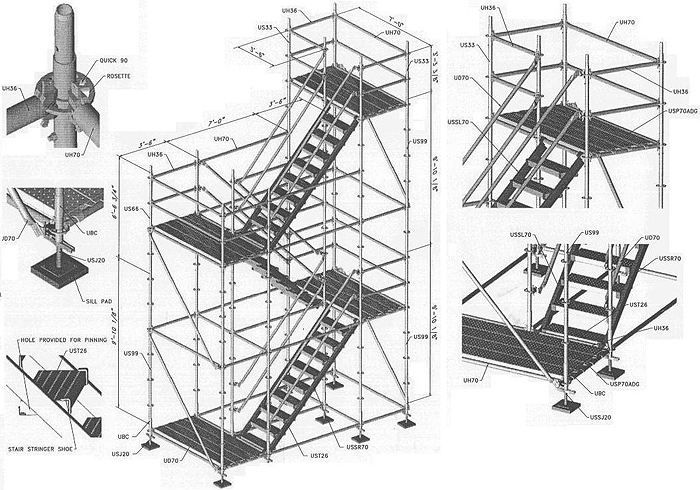 Assemble base section as shown. 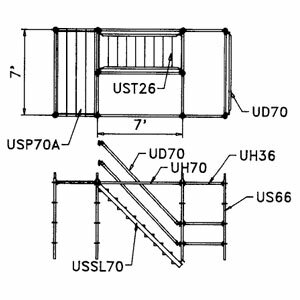 Attach USSL70 Stair Stringers to upper and lower UH40 Horizontal. 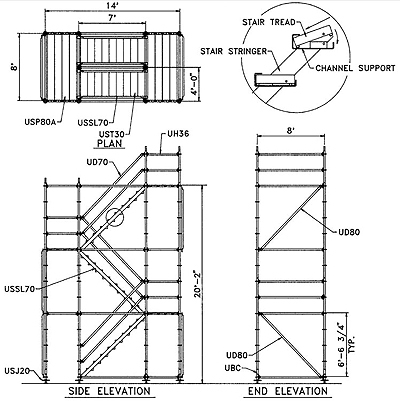 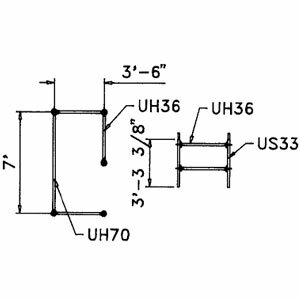 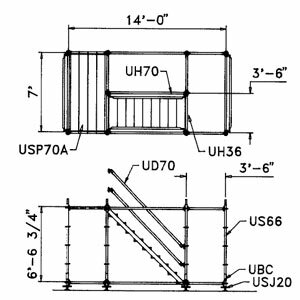 The UST30 Stair Treads are inserted with a "rotary motion" into their respective channel supports.